My husband and I do a lot of camping, and part of a successful camping experience is being sure to have all the right tools. Preparation is key, and the Solo Stove has proven to be a wonderful tool when you are spending time in the great outdoors. It makes cooking a hot meal easy and fast without the hassle of building a large fire. The stove is designed with double walls, and as air is brought in through the intake holes at the bottom of the fire, it also brings in warm air to the space between the walls in the stove. At the top, the smaller holes create a secondary combustion by allowing preheated oxygen into the firebox. This makes for an efficient fire with less smoke and less wood. In order to cook up a quick meal, gather dry twigs and break them up until they are about thumb size. Remove the cooking ring from the solo stove and fill the stove with your kindling. Light the twigs and once you have a sustainable flame simply put the cooking ring back on and boil, roast, or percolate. You can continue to add twigs to keep the fire if you need more heat. Solo Stove is compact and a perfect addition to any outdoor enthusiast’s backpack. It comes in three different sizes depending on how many people you are cooking for on your outing. 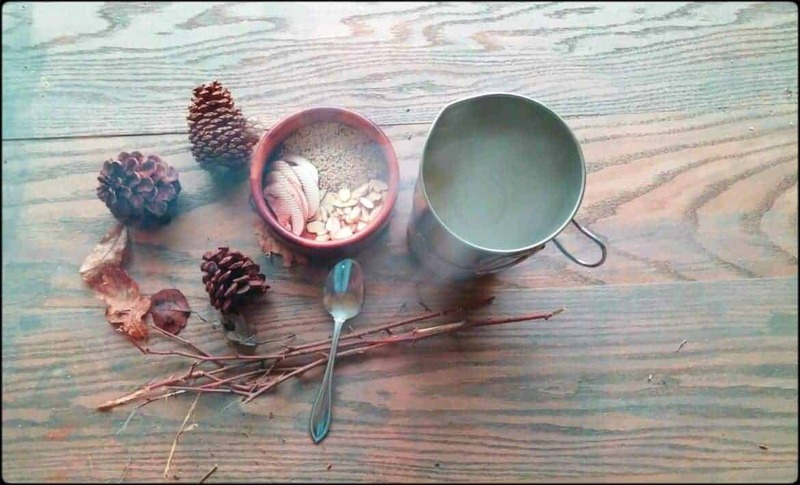 We cooked up a pot of quinoa with wild mushrooms and almonds with the Solo Stove Titan, and it was more than enough for the two of us. There are also plenty of accessories that can also be purchased for the stoves such as tripods, additional pots, and even an alcohol burner. The Solo Stove allows you to cook delicious hot meals without the fuss or hazard of building a large campfire. Whether you live for outdoor adventure or you are a sometimes weekend camper the Solo Stove will make your experience that much better. 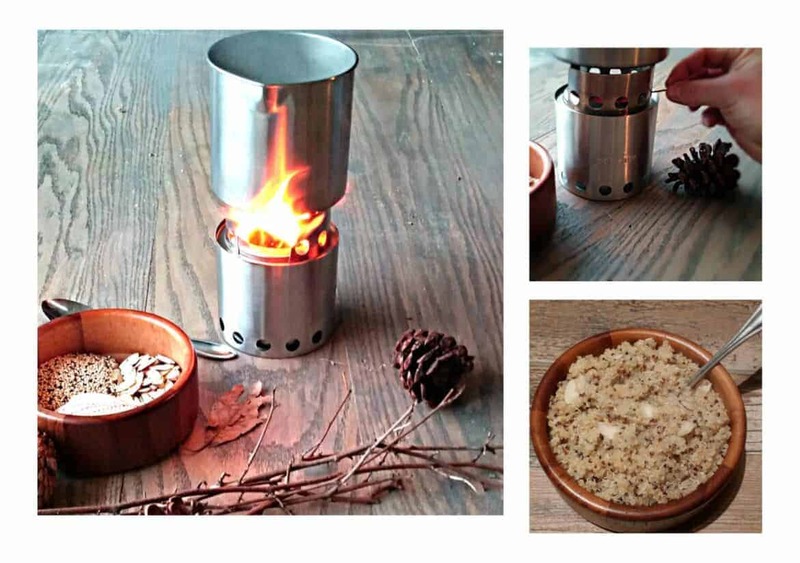 Visit Solostove.com today and use the coupon code NEWYEAR15 to get 15% off your order today! This post is written on behalf of Solo Stove by me. All opinions remain my own. The Best Places to Make Camp – Right in New York City! This looks perfect for camping! I’m sure my mom would love this, she was a traveler and this solo stove could help her. This definitely makes outdoor cooking easier. I really like that you can use natural kindling for this stove. This looks great. We also do a lot of camping. I’ll have to check out their website. That is perfect for campers. I have tons of friends who love to camp, so this is awesome!